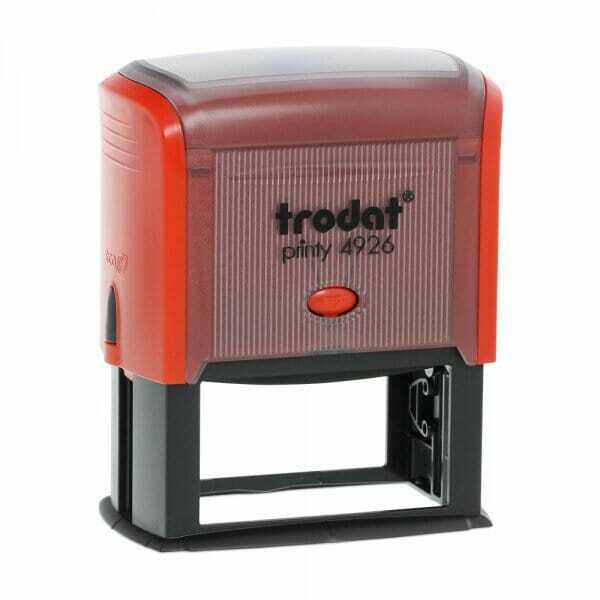 Lightweight, self-inking for thousands of impressions; enabling you to leave your name & address quickly and effectively, with crisp, clear impressions in a handy to use plastic stamp. The impression has a maximum size of 75 x 38 mm, which offers plenty of space for your address, contact information, email and/or website. Customer evaluation for "Business Stamp Large"